A lightly-sweetened granola featuring three fine Oregon foods: Dried Bing Cherries, Norm Lehne's hazelnuts, and local honey. I pitted and dried some Bing cherries I picked at Shady Lane Orchards last summer, but I also bought 60 lbs. of pitted Bing cherries from Hentze Family Farm in Junction City and dried about 40 lbs. of them. 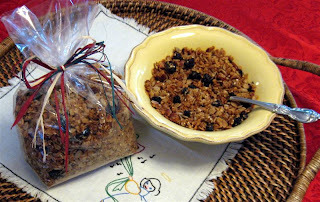 They are great for snacking and they make a flavorful addition to muffins, biscotti, oatmeal cookies and this granola. If you don't have dried cherries you can substitute dried cranberries. I like to stir a big spoonful of this granola into a container of homemade yogurt for a quick breakfast. This makes a big batch of granola. 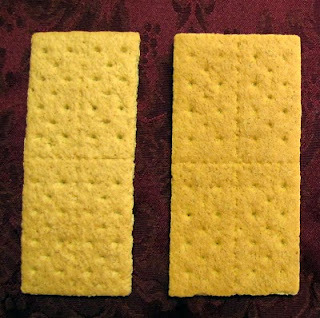 You will need two large cookies sheets with sides to bake it in. Of course, you can always cut the recipe in half. 1# 8 oz. rolled oats (8 cups) I like to use a mix of quick and regular oats. 8 to 12 oz. (about 3/4 cup to 1 cup) honey, depending on how sweet you want it. Preheat the oven to 300 degrees. Lightly oil the pans. Combine the oats, seeds, bran and nuts, mixing well. Stir together the oil and honey and add to oat mixture, coating everything well. Divide equally between the two pans. Bake for 30 to 40 minutes, stirring every 15 minutes and rotating the pans, until the granola is golden brown. Watch it closely toward the end so you don't let it burn. Stir in the dried cherries and let cool completely. Store at room temperature in a tightly-sealed container. Makes a little over 4 lbs. For gift-giving, scoop a generous amount into a cellophane bag and tie with raffia.